Have you ever tried a green plantain? They look like bananas... but I think they taste more like a potato. 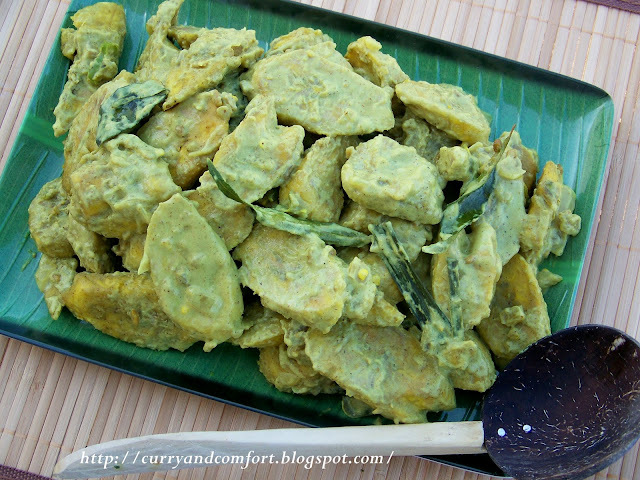 In Sri Lanka we have a variety of plantain that is call Ash Plantains (alu kesel) and it's used to make this savory curry that is beyond delicious. 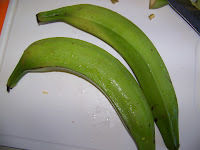 Since we do not have access to Ash Plantains in the US, we can substitute the Green Plantains for the same curry. 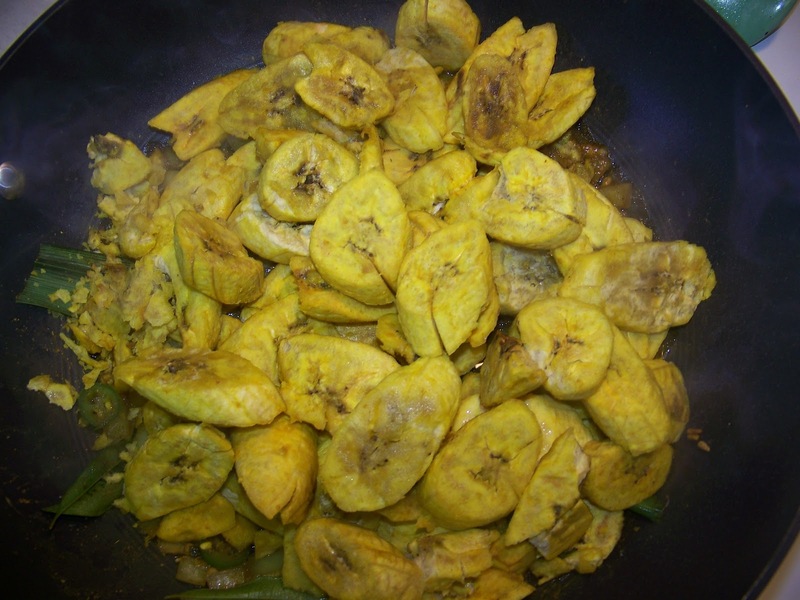 I tried to make this dish a little healthier by baking the plantain in preparation for the curry rather than use the traditional fried in oil method. My mother (a traditionalist) was helping me make this dish and she was eager to see if the baking method would work out. Well, the good news is it worked out wonderfully and we were very pleased with the results...No more frying! 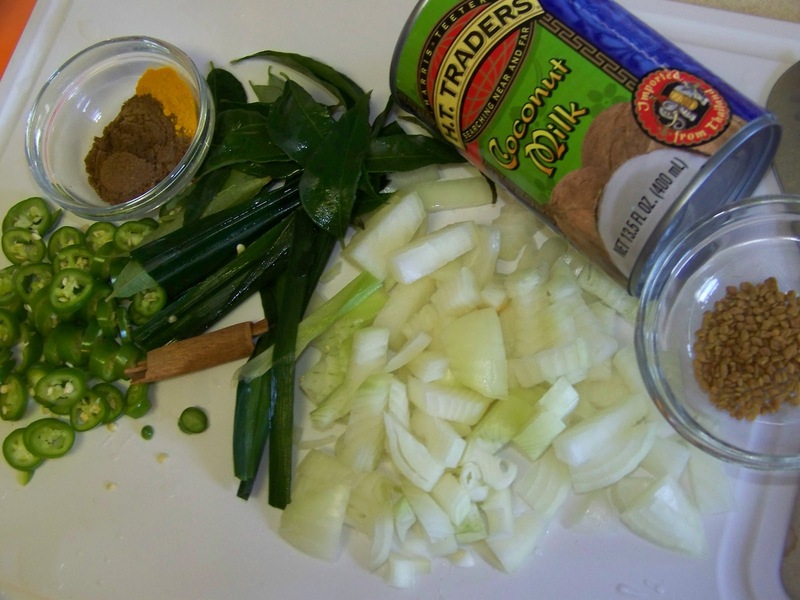 This mild curry works well with any rice and curry meal. 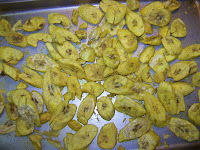 First rinse your plantain skin. Then take a small knife and score the the plantain while following the ridges around the plantain. 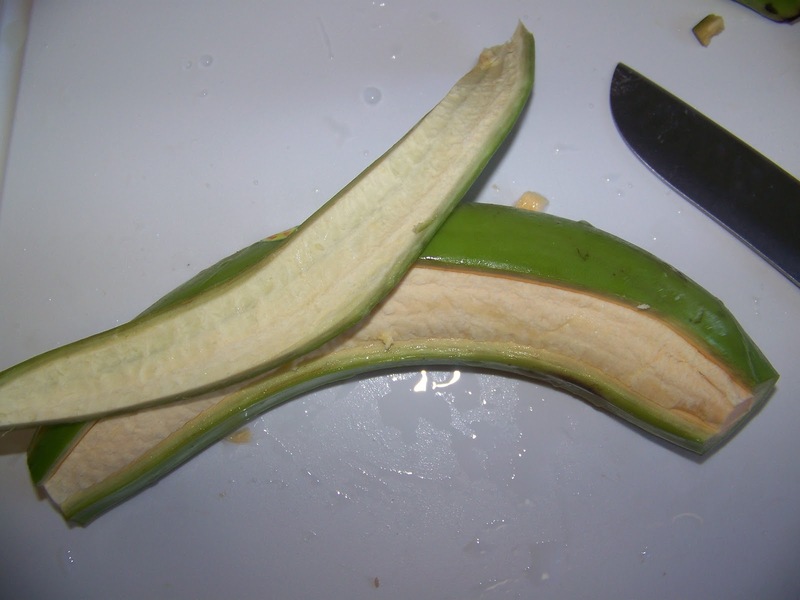 You must score through the tough skin but not cut the plantain itself. Then put your thumb inside and pry the skin off. It may take a little practice, but it will become easier. 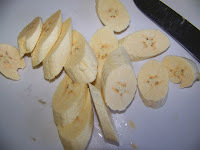 Then slice the plantains into 1/4 inch slices and place in a bowl with the water, lime juice, salt and turmeric. Allow to sit in the water for 10-15 minutes and then drain the liquid out of the bowl. Heat your oven to 400 degrees. 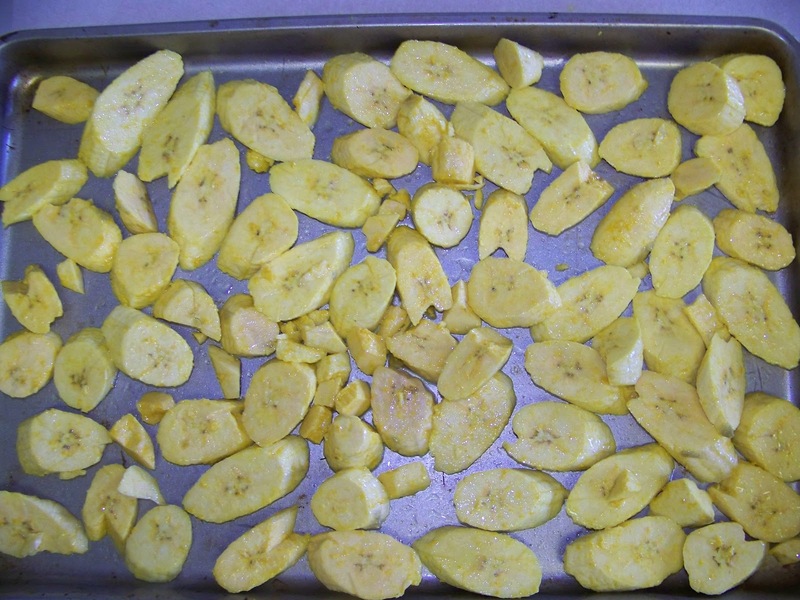 Place plantains on a oiled baking sheet and pour a little more oil over the plantains to coat both sides. Place in the oven for 10-15 minutes. 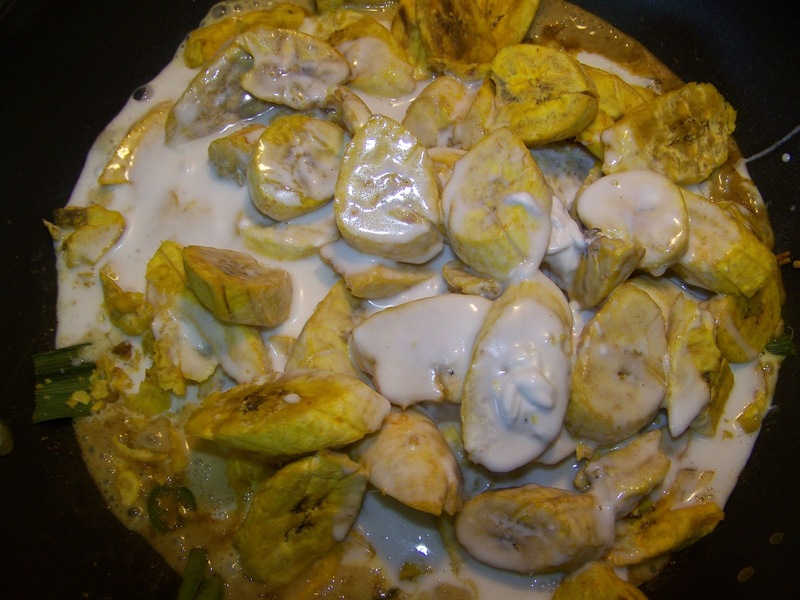 In a large pan, add water and all the ingredients above accept for the baked plantains and the coconut milk. 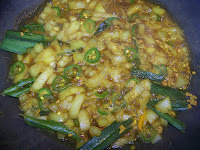 Bring to a gentle simmer until the onions soften (about 5 minutes). 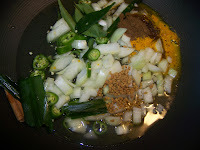 Next add your baked plantains and mix well with the onions and seasoning for a few minutes. Finally add your coconut milk. 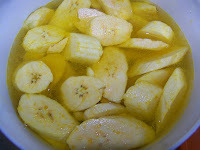 Lower the heat to medium low and gently allow the plantains to cook in the gravy. As the plantains cook it will absorb the gravy and become tender and flavorful. Taste for seasoning. Once all the gravy gets absorbed your dish is done. 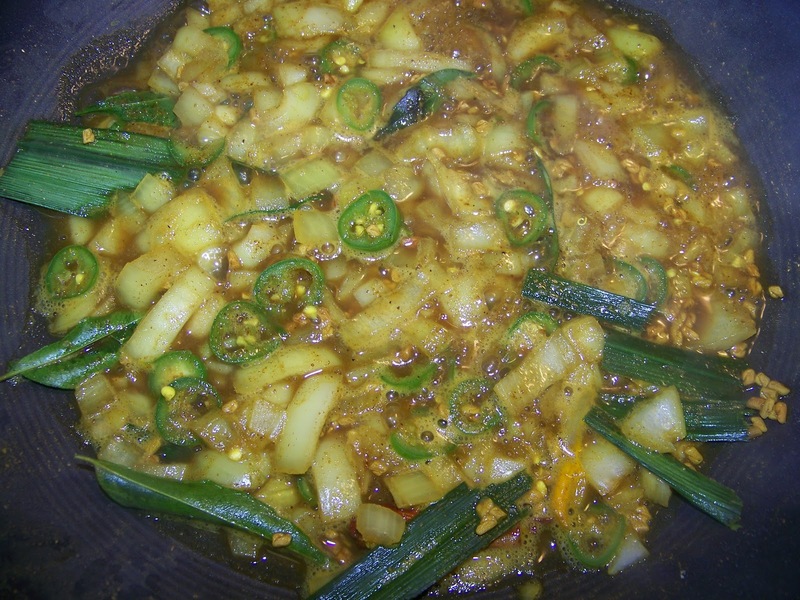 Serve with rice and curry and enjoy. This is my kind of plantain recipe! I like when they are green... not so much when they are ripe. Oh, and I'll def. let you know when I get my new camera! Now that looks fantastic! 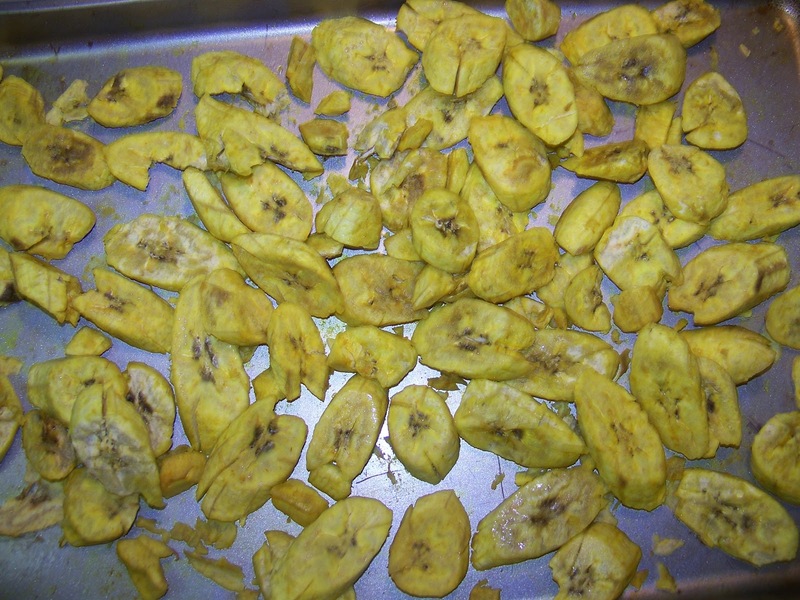 I've actually never had plantain, but I have always wanted to play with them. :) looks delicious and creamy! wow, this looks amazing! 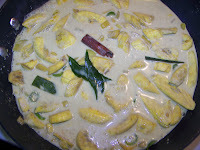 I am obsessed with plantain chips, but I have never had them in a curry dish. I might have to actually have to look at cooking with them after seeing this recipe! I have tried fried plantains and also plantain in a coconut milk dessert but not in a curry. Sounds delicious! 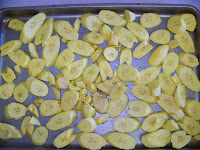 Good idea to roast the plantains as it will probably hold together better in the curry. Oh wow. I really just love this. You always make me soooo hungry. Anything plantain works for me! This must be a delicious curry! 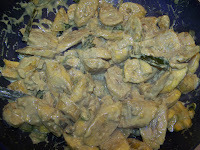 Omg, this curry looks seriously marvellous..
Glad to hear that they worked out baked, I just bought some and was planning to fry them, never tried baking. Looks great. Thanks! Have a pleasant day. This dish is very intriguing, Ramona. I love the creaminess of it! I don't think I've even a plantain in 15 years, and the last time I had them they were fried. This looks so much healthier AND tastier! we looked at some plantains at a vietnamese store in pittsburgh last saturday, and i was almost tempted to get some, fully knowing that i had no idea what to do w/ them. seeing this, i should have just bought them on a whim! looks delish! This looks really interesting! 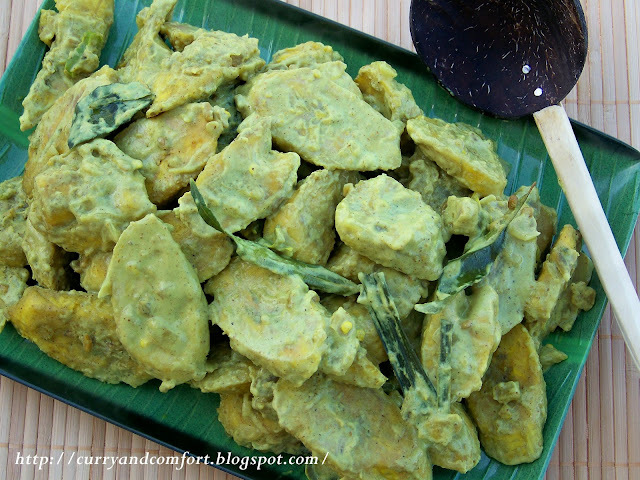 I am not sure I have ever had Sri Lankan food, but this sounds wonderful! I like how you baked the plantain instead of frying it! What is the flavour of rampe? To answer your question regarding Pandan leaves (rampe) it's tastes piney and citrus like. 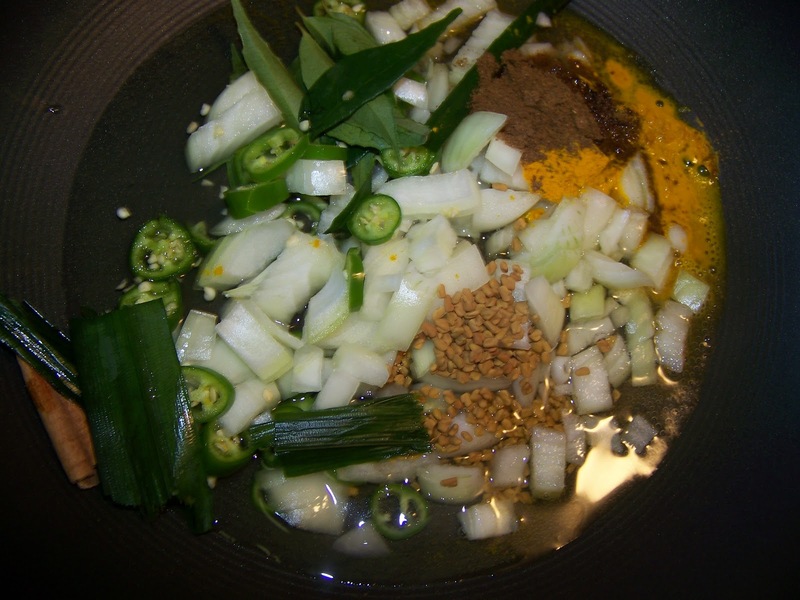 It's lovely in curry and compliments curry leaves very well. I find it frozen at my local Asian market. 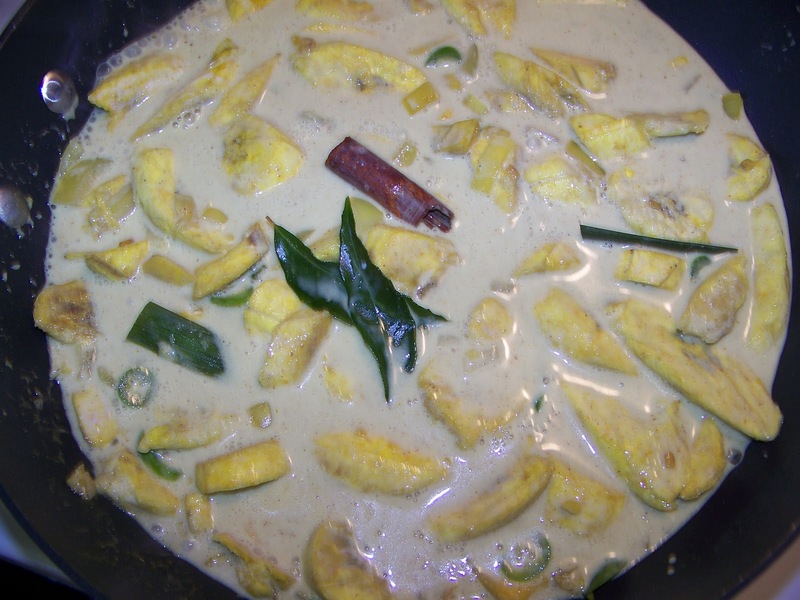 I have been searching for a plantain curry recipe since I tried it in "The Banana Leaf" in Croyden. Dont know if its still there. I too was born in Sri Lanka and love ash plantains. 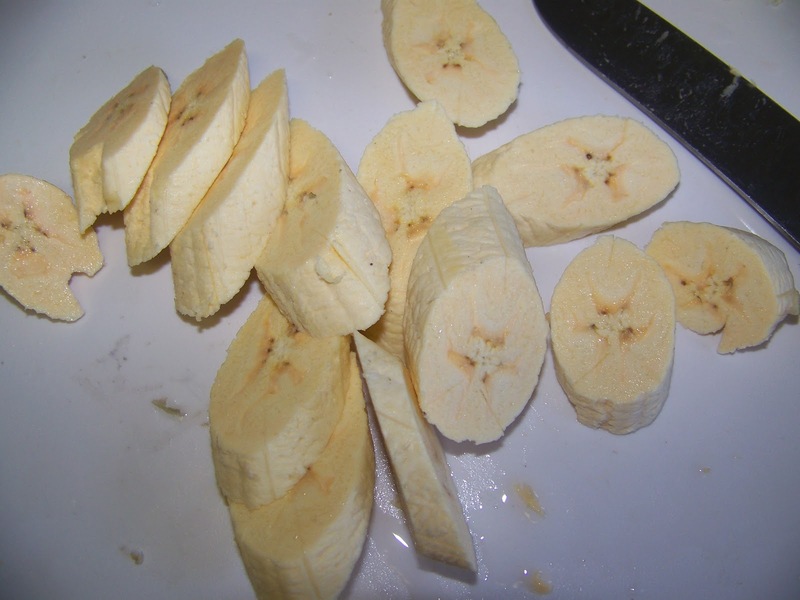 Now living in Brooklyn for the last 20 plus years, I was surprised when walking through a local supermarket (NSA on Bedrord, which is managed by Domincans) to see plantains that had the shape and size of ash plantains but not as much of the silvery haze (ash) on the skin. They had a Spanish name that I think translates as donkey's ear, which is a fair description of their shape. Now that I have your recipe, I am going to buy some and see if they provide the taste I have long missed. Thanks! Hope you enjoy the dish. :) Thanks for visiting Curry and Comfort.